The Abbasid Caliphate emerged after a bloody revolution of its own doing that toppled the once powerful Umayyad Caliphate. For centuries, the Umayyads ruled over the largest Islamic empire in history through effective administration and strong leadership of its. However, civil war, intrigue, decadence and rebellions had weakened the Imperial Caliphate. Moreover, in search for unity through assimilation of the population to the Arab culture, majority of the population, called the Mawali, or non-Arab Muslims joined Shias and Kharijites to wish the downfall of the Sunni Arabic Umayyad Caliphate. The leading faction in undermining the Umayyads were a branch of the Hashemite clan descended from Mohammed al-Abbas, the uncle of the Prophet Mohammed, called the Abbasids. The Abbasids took over a sect of Shia called the Hahimiyyah who supported the claim to the Caliphate of Abu Hashim, the great-grandson of Caliph Ali ibn Abi Talib, the venerated Caliph or Imam of the Shia. 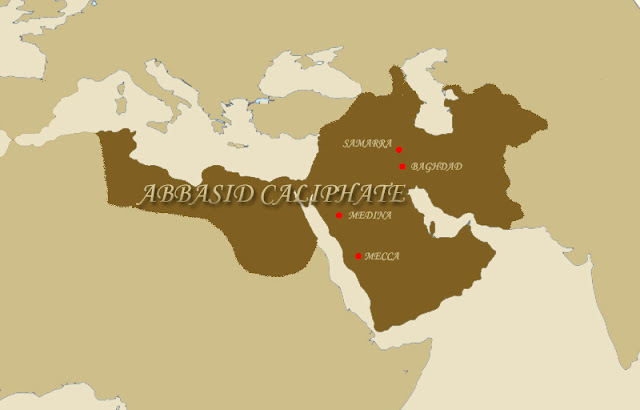 The Abbasids claimed that Abu Hashim, before he passed away in 718, left the quest for the caliphate to the head of the Abbasids. Since then, the Abbasids led the Hashimiyyah’s propaganda campaign challenging the Umayyads and gathering support, most especially in the Persian region of Khorasan. Khorasan homed a lot of Mawali, non-Muslims, Arabs, and Shias. Mostly due to its far distance from Damascus and its rich and fertile environment, it became home of marginalized and a disaffected population, ripe for a start of an uprising. In the 730’s almost 2 decades when the Abbasids took over the Hashimiyyah, the Umayyad Caliphate further weakened with another civil war. Head of the Abbasids, Imam Ibrahim sent an able supporter, Abu Muslim, to Khorasan to gain support for the cause and if time came, to lead a rebellion. By 747, Abu Muslim had developed a vast network of supporters within the region. On that same year, he then received a black flag from Ibrahim signaling the start of a rebellion against the Caliphate. His rebel force began their fight by taking over Merv, soon after the rebellion grew to a revolution – an Abbasid Revolution. Mawali, Shia, and Kharijites joined the fight and they began to control the eastern regions of the Umayyad Caliphate. 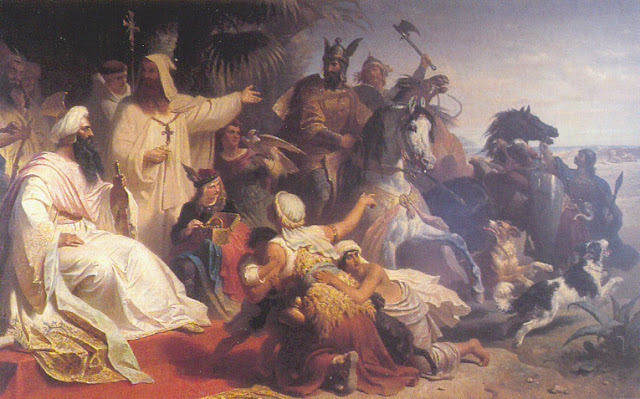 By 750, the Abbasid army encountered the Umayyad army under Caliph Marwan II in the Battle of the Great Zab River. The Abbasids scored a victory and forced Caliph Marwan to run for his life until he arrived in Egypt where he met his violent end. But, before the demise of the Umayyad Caliph, Ibrahim had passed away in captivity after being imprisoned right after the revolution began. The new head of the family, Abu al-Abbas (r. 750-754), became the first Abbasid Caliph and took upon himself the responsibility of securing the new dynasty. Abu al-Abbas had the Umayyad family members killed. He did so with pride, even calling himself, as-Saffah – the Blood Shedder. Killing the Umayyads did not end the bloodshed to secure the Caliphate. The Abbasids turned against their biggest rival among the Shia – the Alids or the supporters of the descendants of Caliph Ali. 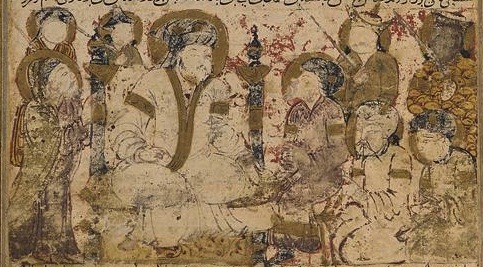 The second Abbasid Caliph, al-Mansur (r. 754-775), also assassinated influential officers, including some contributors to the rise of the Abbasid like the venerated and honored Abu Muslim. The Caliphate, nonetheless, continued to face challenges. An Umayyad prince established an Emirate in Cordoba, Spain and his descendants later elevated their status to a Caliphate. In Morocco, the Idris escaped the fall of the Alids and established themselves in the country. Despite the loss of some territory, the early Abbasid Caliphs presided over a golden age centering in their capital – Baghdad. Caliph Mansur established the city in 762, calling it Madinat al-Salam or city of peace. Though the name Baghdad, meaning Gift of God and the name of the village standing in the area, remained in use. Situated in between Tigris and Euphrates, and near the ancient Sassanid capital of Ctesiphon, a round city with the Caliphal palace in the center in rose in the center of the new capital. It became a commercial center and brought riches and goods from both east and west. Trade in Baghdad, and the rest of the Empire, flourished and gave birth to an explosive interest in the arts and sciences. An age that shone bright in Islamic history and gave the Caliphate prestige. Even though rebellions continued and the Umayyads took the western most part of the Islamic Empire, the Abbasids thrived. One factor that contributed to the preservation of the Caliphate was toleration - not just of other religion but also of other cultures. It destroyed the superiority of the Arabic culture over the others. After all, the Abbasid revolution came to be as a result of discontent over the Umayyads’ favoritism of the Arab culture. Ever though Arabic remained a lingua franca, some cultures even inspired reforms, such as the Persian culture of Viziers, started to be prominent in Abbasid government. Tolerance led to improvements in the government as many more talented Muslims joined the civil administration. Muslims saw a return to the purity of Islam in contrast to the secular, decadent, and opulent lives of the Umayyad Caliphs. A return to the basic tenants of simplicity, tolerance, and unity of the Islamic community or Umma gave satisfaction to the Abbasid’s leadership. Communication also became important and the Barids who were in charge as couriers. Later on, they served as a source of information on local politics and kept Baghdad inform of news from the provinces. Thus, the Barids became a crucial part of the Caliphal government apparatus. With peace, tolerance, and prosperity, this factors led to a flourishing of Abbasid culture. Scientist, doctors, writers, and other academics found the ambience suitable to pursuit their studies. Suddenly, developments in alchemy, astronomy, mathematics, medicine, geography and others led to the popularity of many Islamic scholars. Hospitals (like the Bamiristan al-Adadi), universities (like the Mustansiriya and Nizamiyya universities), and libraries attest to the growth in intellectual progress. Contributing factor to this included the idea that better understanding of nature meant better understanding of Allah. Indeed, intellectual pursuit becoming religious led the Caliphs also to support this developments. Caliph Harunal-Rashid (r. 786-809) established the Bayt al-Hikma or the House of Wisdom in Baghdad to house scholars and their works. 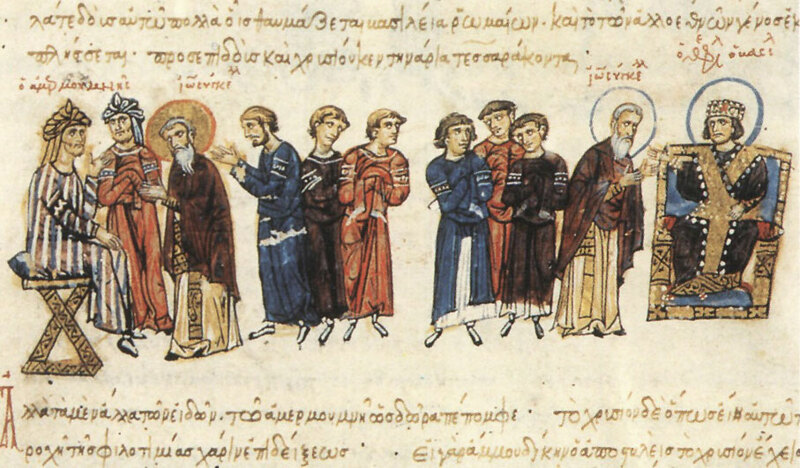 It became a translation center that translated works of Greeks, Persians, and others to Arabic that formed the basis of many advancements in many fields. After Harun al-Rashid, things went bad for the Abbasid Caliphate. A civil war erupted after his death in 809. His 2 sons, al-Amin (r. 809-813) and al-Mamun fought each other for the Caliphate. In the end, al-Amin fell and met his demise in 813 and al-Mamun (r. 813-833)took over. Even though he continued his father’s support for intellectuals, the court showed signs of intense factionalism and division. In the end, al-Mamun ordered his brother, the later Caliph al-Mustasim (r. 833-842), to create a unit of Mamluks, mostly of Turk slaves, to serve as his guards. This way, he made himself independent from the military support of different factions. However, the maintenance of the private army out of slaves cost tremendously burdening the Caliphate’s finances. Caliph al-Mustasim continued the practice, and his successor also came to rely in their own Mamluk armies. Following the creation of an army of Mamluks, Caliph al-Mustasim’s another fiasco that cost the Caliphate was the construction of Samarra. To escape the intensifying factional rivalries in Baghdad, the Caliph ordered the construction of Surra Ma Ara meaning Pleased is he who sees it – simply Samarra. A new whole palace and government buildings were ordered to be built. However, the objective failed to realize. The moving to Samarra led only to the rise of the Mamluks in influence. In the end, the expensive overtaking became abandoned by 892. In 861, the Mamluks grew in power, influence, and ambition. Ambitious generals placed the Caliphs under their palm starting with the assassination of Caliph al-Mutawakkil (r. 847-861) in 861 precipitating the so-called Anarchy in Samarra. From 861 to 870, 4 caliphs reigned each succeeding the other in a violent turn of events carried out by the Mamluks. Only with the strong reassertion of authority by Caliph al-Mutamid (r. 870-892) and his brother al-Muwaffaq serving as regent did stability returned. Nonetheless, the decade long anarchy destroyed the prestige of the Caliphate. Never again it ushered the same golden period of Harun al-Rashid. The anarchy and the dysfunction of the Caliphate led to rise in local warlords. Regions fell to local strongmen, some ruling independent completely while other remained nominally under the Abbasids. Abbasid Caliphs became figureheads and weak. In 945, the Buyids forced Caliph al-Mustakfi (r. 944-946) to surrender all his political power to them. In 1055 the Seljuq Turks replaced the Buyids. Though some Caliphs attempted to restore the power of the Abbasids, all were in vain. In 1258, the Mongol warlord Hulagu captured and burned Baghdad along with all the libraries and universities from the Golden Age. The Abbasid Caliphs fled to Egypt under the protection once again of the Mamluks. There they continued their existence as figurehead until 1517 when the last Abbasid Caliph al-Mutawakkil II transferred the title of Caliph to the Ottoman Sultan Selim I.
Chaurasia, Radhey Shyam. History of Middle East. New Delhi: Atlantic Publishers and Distributors, 2005. Fattah, Hala Mundir & Frank Caso. A Brief History of Iraq. New York, New York: Facts On File, Inc., 2009. Hunt, Courtney. The History of Iraq. Westport, Connecticut: Greenwood Press, 2005. Saunders, J.J. A History of Medieval Islam. New York, New York: Routledge, 1965. Hanne, Eric. "'Abbasids." In Medieval Islamic Civilization. Edited by Josef W. Meri. New York, New York: Routledge, 2006. Iskander, John. "Abbasid Caliphate." In Encyclopedia of Islam. Edited by Juan Campo. New York, New York: Facts On File, Inc., 2009.